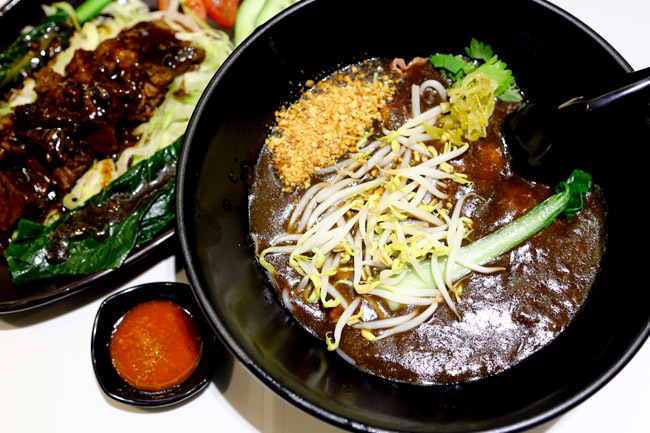 What happened to Hock Lam Beef Noodles? One may wonder. And who’s the real deal? 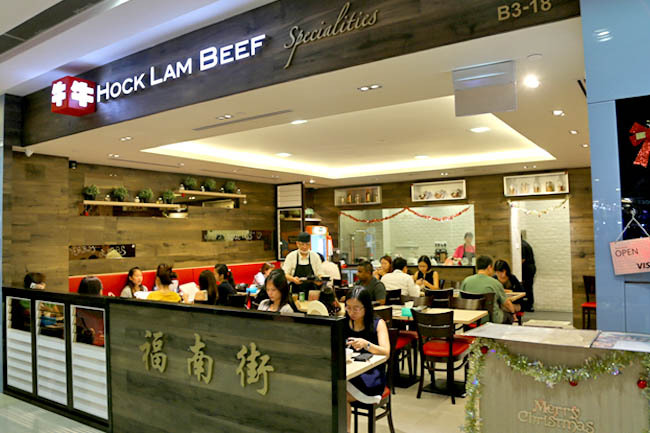 An “Original Hock Lam Beef Noodles” restaurant opened at the glamorous Ion Orchard, up the high level scale with the offering of Australian ribeye slices with humble Teochew style beef noodles. 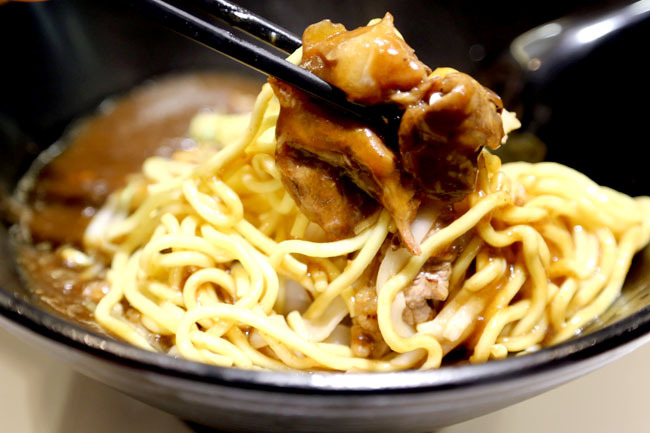 This particular Hock Lam also has branches at Far East Square and Alexandra Retail Centre, said to be more than a century in history with the business started from 1911 when the owner’s grandfather used to sell the noodles on foot in Chinatown. There is another different shop calling themselves “Authentic Hock Lam St Popular Kway Teow Pte Ltd”, operating since 1921. Whatever it is, all I know that the old old Purvis Street shop had one of the best tasting beef noodles, and sadly none can quite replicate the taste. To be fair, I liked the braised Australian Angus Beef ($15.90 for set meal), quite tender and covered in a rich tasting dark black sauce. 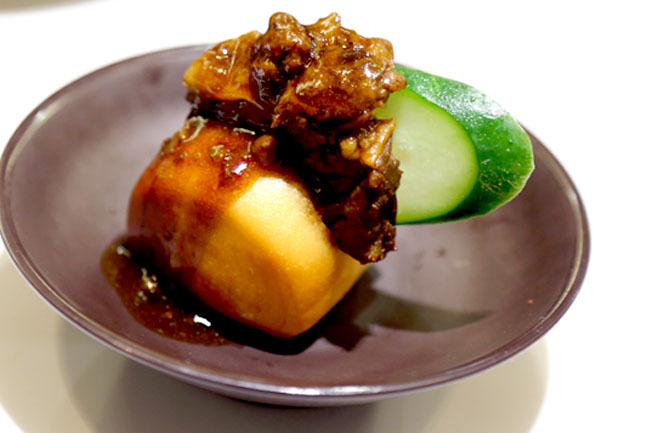 The same style of beef can also be found in the Angus Beef Bun ($2.50 for 1 piece, $9.90 for 4 pieces). The Hock Lam Beef noodles ($9.90) with hand sliced beef cuts, tripe, brisket slices and beef ball suffered from the fate of commercialisation. While the herb based soup and chilli sauce were the saving grace, some parts – sauce not warm enough, dry generic tasting beef balls, and clumpy noodles made me miss the good old taste of Beef Noodles I had while growing up. I think it is an okay bowl. But what is stopping customers from having something similar, at half its price in the food courts? Maybe that was why the brand needed to choose to use a higher quality Angus Beef. 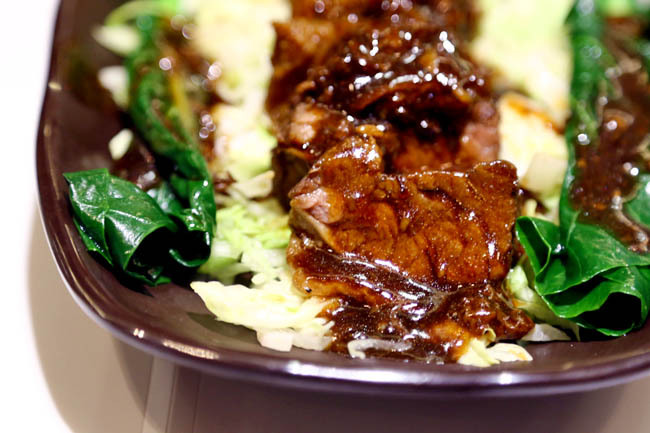 The Original Hock Lam Street Beef Kway Teow. Since 1911. Hi! Thanks for taking the time to review our new outlet:) would like to rectify some of the points raised in your blog post though. 1) Our beef noodles is Teochew, not Hainanese style. 2) We had some feedback from our customers that our gravy can be too hot, so we try to balance and cater to our customers' preferences. 3) We get our beef balls from a top supplier from Singapore and work hard to ensure good quality food for our customers. 4) We endeavor to provide the best eating experience and thus provide high quality angus beef with our noodles – which are really well received! We thank you for your feedback and hope you can visit us again! Hi there, thank you for taking time to write back. 2) A hot piping bowl of noodles always work better than something that is lukewarm. The aircon at the mall plays a part. My humble take is, if you want customers to keep coming back, serve the noodles hot. 3) Noted. Personal preference, not my favourite part of the bowl. 4) The augus beef was indeed the best part. Teochew serves only soup and gan lau. In the 80s, my dad invented his own gravy version due to popular demands. Hock lam beef's history harks back from 104 years ago and we are always known as Teochew as we are true blue Teochew. Therefore we do not serve chincaluk and instead blue ginger with salted veggie. We do our best to keep as many things as traditional as possible for the new generations these days.